Though we first caught a glimpse of Marvel Comics’ mysterious hooded character when the publisher initially teased Gerry Duggan, Mike Deodato Jr. and Frank Martin’s upcoming Infinity Wars event, they weren’t given a name. Now, we not only have a name but a chilling description to go along with it. 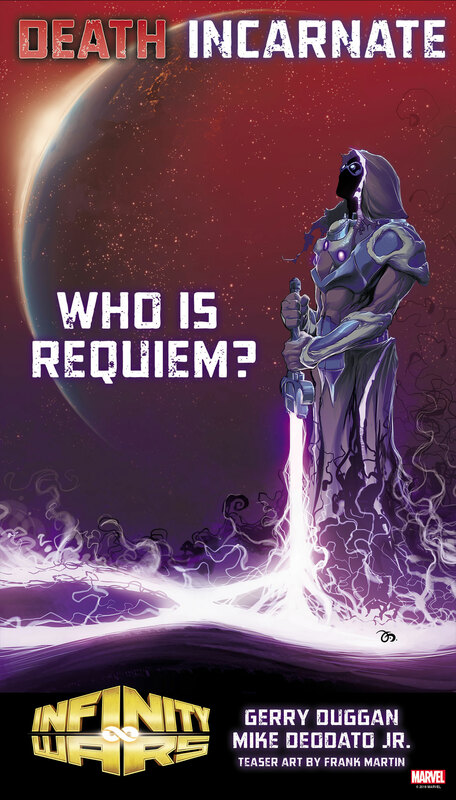 Meet Requiem, a being Marvel teases is “death Incarnate.” Given the hooded appearance, it’s not a major leap to assume this is likely a new incarnation of an existing character, one whose longtime Marvel readers would recognize, but as of right now, there’s no way to truly know for certain. The post Marvel’s Latest Infinity Wars Teaser Names the Event’s Mystery Character appeared first on CBR.